Some parasitoid wasps are attracted to yellow, an usual fact that leads Hymenopterists to set out arrays of yellow pans to trap them. 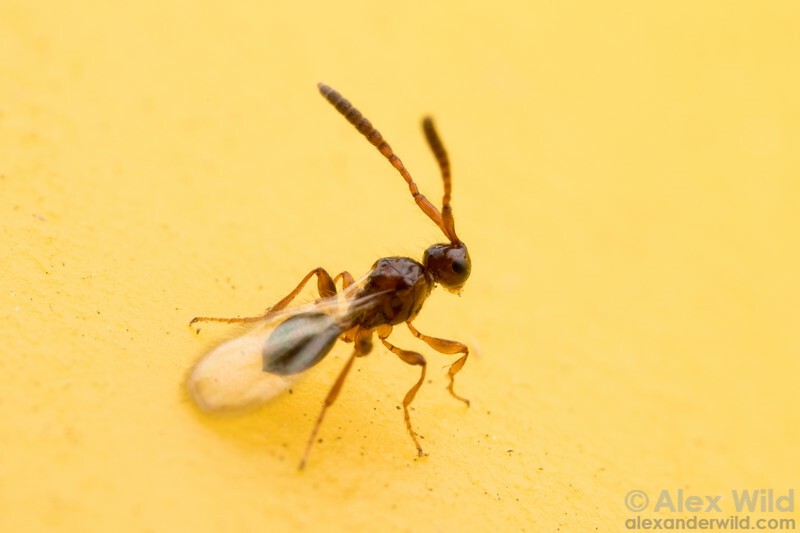 This small diapriid wasp arrived to a piece of yellow plastic in central Austin. Austin, Texas, USA.